Microfilm containing documents drawn from various repositories including John Brown’s correspondence with family, friends, and others; court records and testimony; transcripts of interviews and other personal reminiscences; drafts of narratives; memorandum book; drafts of speeches; church records; minutes of Anti-slavery Society of Lawrence, Kansas; financial and legal records; broadsides and circulars; newspaper clippings; other miscellaneous records. Transcripts of Civil War diaries of Samuel Chapin and William R. Sessions both of South Wilbraham, Massachusetts. Chapin was twenty-one and Sessions twenty-seven when they enlisted in the Union Army with 25 other Wilbraham men on August 29, 1862. They were assigned to the 46th Regiment of the Massachusetts Volunteers for nine months service. Born in Ashfield, Massachusetts, in 1826, William Smith Clark graduated from Amherst College in 1848 and went on to teach the natural sciences at Williston Seminary until 1850, when he continued his education abroad, studying chemistry and botany at the University of Goettingen, earning his Ph.D in 1852. From 1852 to 1867 he was a member of Amherst College’s faculty as a Professor of Chemistry, Botany, and Zoology. As a leading citizen of Amherst, Clark was a strong advocate for the establishment of the new agricultural college, becoming one of the founding members of the college’s faculty and in 1867, the year the college welcomed its first class of 56 students, its President. During his presidency, he pressured the state government to increase funding for the new college and provide scholarships to enable poor students, including women, to attend. The college faced economic hardship early in its existence: enrollment dropped in the 1870s, and the college fell into debt. He is noted as well for helping to establish an agricultural college at Sapporo, Japan, and building strong ties between the Massachusetts Agricultural College and Hokkaido. After Clark was denied a leave of absence in 1879 to establish a “floating college” — a ship which would carry students and faculty around the world — he resigned. The Clark Papers include materials from throughout his life, including correspondence with fellow professors and scientists, students in Japan, and family; materials relating to his Civil War service in the 21st Massachusetts Infantry; photographs and personal items; official correspondence and memoranda; published articles; books, articles, television, and radio materials relating to Clark, in Japanese and English; and materials regarding Hokkaido University and its continuing relationship with the University of Massachusetts. View the online Clark-Penhallow Botanical Collections from Sapporo. During the earliest days of the Civil War, publishers began to issue large numbers of “patriotic covers,” cheaply produced but often colorfully-illustrated envelopes commemorating the personalities and events of the war. The topics were highly varied, ranging military and political figures, significant battles and other events, nostalgia for home, slavery, and southern versus northern character. 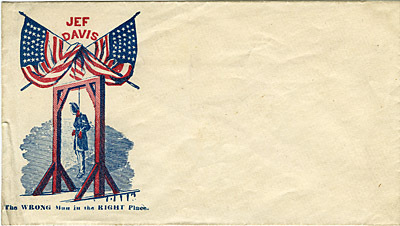 Collected by James Ellis, the Patriotic Cover Collection contains over 250 envelopes published during the Civil War, primarily in the northern states. All envelopes are unused and in relatively pristine condition. A 21 year-old farmer from Hardwick, Mass., Marcus A. Emmons enlisted in the 21st Massachusetts Infantry in August 1861, and saw active service in North Carolina, Virginia, Kentucky, and Tennessee. Having survived many of the great battles of the eastern theatre, Emmons was killed in action at Bethesda Church on June 2, 1864. The letters and journals that comprise this collection document Emmons’ tragically brief experience in the Civil War. Both letters date from April 1864, while the 21st Massachusetts was stationed in Annapolis, Md., prior to the campaigns of that summer. One journal includes some miscellaneous pre-war accounts, a complete list of the Civil War volunteers from Hardwick and their regiments (some with notation of fate in service); a list of conscripts added to Co. K, 21st Mass., in 1863; a list of Civil War battles; military accounts; recruits added to the regiment in 1862, listing place of residence; and a roster of Co. K, 21st Mass. Infantry, with place of residence and fate in the service. The other journal begins as a spelling exercise book and includes diary entries for Mar.-Sept., 1862, discussing farm work. The son of a missionary based in Constantinople, Henry Hill Goodell was born on May 20, 1839. After graduating from Amherst College in 1862, Goodell saw Civil War service with the 25th Connecticut Infantry in the Department of the Gulf, returning to New England to accept a position as Professor of Modern Languages at the newly-formed Massachusetts Agricultural College when it opened in 1867. 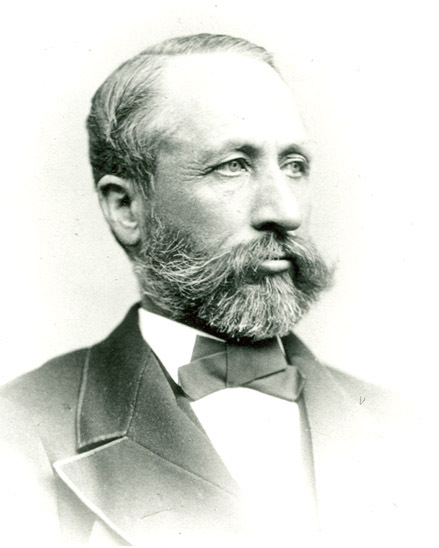 Over the next four decades, Goodell taught a wide range of subjects, including military tactics, natural science, and elocution, and became its first librarian, before becoming President of the College from 1886 to 1905. As President, Goodell oversaw remarkable changes, including the admission of the first women and African American students, the first offering of electives in the curriculum, the development of the Experiment Station, and Extension Services, and the awarding of the first graduate degrees. Goodell died in April 1905. The Goodell papers are a faint reflection of one of the key figures in the history of Massachusetts Agricultural College. The bulk of the collection consists of lectures given by Goodell in courses he offered at MAC, however there are a handful of items from his student days at Amherst College, his Civil War service, and a few items relating to the period of his presidency. Granted in 1737 and incorporated in 1754, Greenwich, Mass., was the first town in the Swift River Valley settled by Europeans. Sitting astride the East and Middle branches of the Swift River and forming the eastern boundary of Hampshire County, Greenwich was primarily an agricultural town with light manufacturing and, beginning in the later nineteenth century, an active tourist trade. The town’s population peaked at over 1,100 early in the nineteenth century, declining slowly thereafter. The records of Greenwich, Mass., offer a long perspective on the history of the region inundated to create the Quabbin Reservoir. The core of this collection consists of the records of town meetings and the Selectmen of Greenwich from the Proprietary period in the 1730s through disincorporation in 1938, but there is some documentation of the town’s Congregational Church, a local school, the library, and the Greenwich Improvement Society. 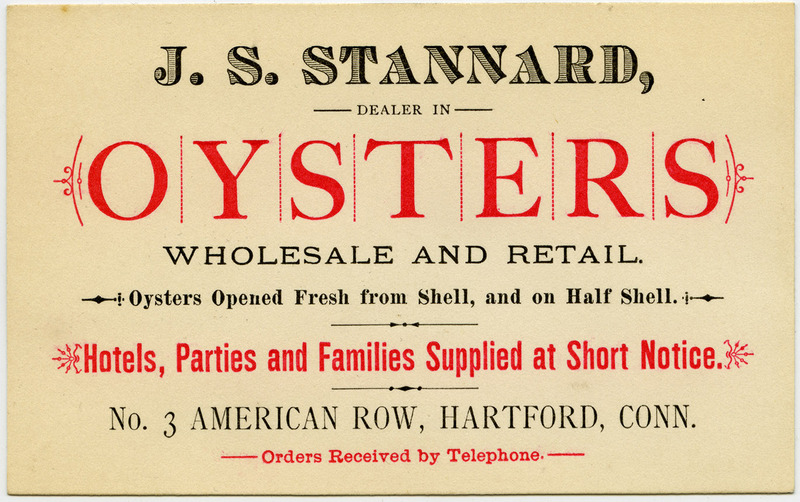 This finding aid reflects both materials held by SCUA and materials digitized in partnership with the Swift River Valley Historical Society in New Salem, Mass. A politician hailing from Greenfield, Mass., Whiting Griswold was born in Buckland on Nov. 12, 1814, the son of Maj. Joseph Griswold. 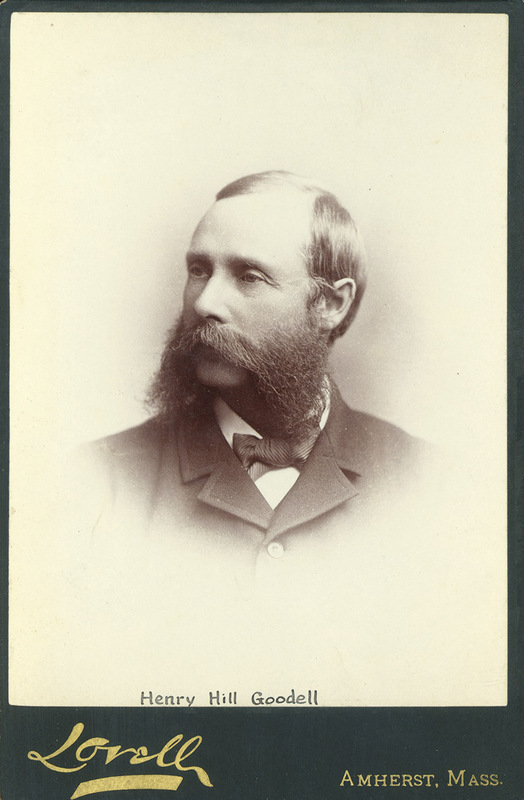 Earning his way through Amherst College (BA, 1838) by teaching in the local schools, Griswold studied law in the offices of Grennell and Aiken, but politics soon came to dominate his life. A serious player in partisan politics, he won election as a Democrat to the state House in 1848-1850 and then the Senate in 1851-1852. After taking part in the state Constitutional Convention of 1853, Griswold supported Buchanan for the presidency in 1856, but changed party to support Lincoln, winning terms in the state Senate on a Coalition vote in 1862 and as a Republican in 1869. Griswold was twice married: first, to Jane M. Martindale (1844), with whom he had two children, and second to Frances L. Clarke (1856), with whom he had three children, including the attorney Freeman Clarke Griswold (1858-1910), a graduate of Yale and Harvard law school (1884), who represented Greenfield in the State House in 1888. The Griswold papers are dense collection documenting the lives and careers of two state-level politicians in Massachusetts during the years straddling the Civil War. Contents range from discussions of the political crises of the 1850s and Civil War to political agitation over railroad construction in Franklin County, to elections, political speeches, and papers written as a student. The collection includes five letters of the Transcendentalist minister James Freeman Clarke and some essays and correspondence from Freeman Griswold.